To many people, holidays are not voyages of discovery, but a ritual of reassurance. As we slide into November, we find the mood has changed along with the weather. The World Series is over and football is king. The year’s biggest holidays are near, when the kids will be out of school and families gather close again. As snow dusts the mountaintops, wouldn’t it be wonderful to experience the seasons’ change with the family all around, enjoying the great outdoors? To enjoy those ‘rituals of reassurance’. Of course, that’s not easy at home, with all the parties, visits by friends and neighbors, and all distractions of the wired world. How can you get young people to unplug and spend time with the family? Well, a quick escape to a dude/guest ranch might be one solution. Worried that you’ll miss the bargains at the mall? Well, if you haven’t started shopping by now, it’s probably too late anyway. (As of Thanksgiving Day, there are only 28 shopping days left before Christmas.) Solution: just get the family one BIG gift this year: time together on a ranch for Thanksgiving or Christmas. We have some suggestions. First, decide whether you want snow or sun, then make a list and check it twice. Looking for some bragging rights at the office water cooler? Just tell them about your adventure vacation in Argentina (we suggest one below). Or consider a guest ranch set in the frosty beauty of snow country. Ranchweb members include dozens of ranches in snow country. Okay, so some folks would rather come back from their winter holidays with a tan instead of ski goggle marks on their cheeks, and for them the many ranches of Arizona, New Mexico, and southern climes beckon. We offer some to start your ‘White Christmas’ or your “Sunny Holiday’ list with. At some ranches, the season is nearing its end, at others, winter brings a renewal of spirit and a whole fresh list of activities, from horse-drawn sleigh rides to snowshoeing and skiing. If you’ve visited your favorite guest ranch only in summer, seeing it under a fresh mantle of snow is like seeing your high school sweetheart all dressed up for the prom—breathtaking. Whether you seek snow or sun, we urge you to seek out Ranchweb.com for the widest choices of ranches open in November and December. Click on the Availability button to find out who has rooms available for your preferred week or weekend. We can’t possibly tell you here on the blog about all the ranches that are open each month, but the powerful search tools on Ranchweb.com can speed your search for the perfect ranch. This month, we also chatted with Meris Esterly, of the Geronimo Trail Guest Ranch in New Mexico, about what it’s like being new to the ownership of a guest ranch (the Esterly Family just celebrated the sixth year as owners of the Geronimo Trail Guest Ranch). For her, seeing the Land of Enchantment through the eyes of her guests is like seeing the state for the first time all over again. It’s both a voyage of discovery and a ritual of reassurance. You’ll find a host of winter fun here when the snow is generally at it’s deepest. Ski or snowshoe (guides and lessons available) on 30 kilometers of groomed trail around the ranch, enjoy backcountry guided trips. At day’s end, relax in a hot tub edged by snow, enjoy sledding or sleigh riding, sit beside a roaring fire, or dine on their famed Rockies cuisine in their renowned dining room. Details: The Home Ranch (open December through March).offers five-day Christmas ski vacation packages every year, with gourmet holiday dinners and entertainment to match the holiday season. Vacations are all-inclusive. For more, please click here or call Johnny or Selina at 800.688.2982. 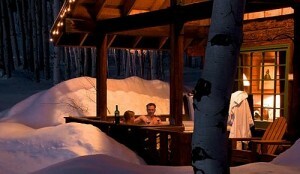 Also close to Steamboat Springs, and the Steamboat Ski Resort, is Vista Verde Guest Ranch. A winter stay here layers all the benefits of a Colorado winter resort vacation over the relaxed and intimate atmosphere of a ranch vacation. Your first decision: head for the ski resort for fabulous downhill skiing in their champagne powder snow, or stay on site for a full program of activities (included in your stay): cross country skiing, sledding, sleigh rides, snowshoeing, horseback riding. At Vista Verde, you’ll find there’s plenty of top notch gear available to make your winter activities all the more enjoyable, plus guides and instructors to tailor each experience to your interest and ability. Staff members come around at mealtimes and you simply tell them what activities you feel like trying next. All you have to do is choose! Details: Winter Carnival Package- Stay at the ranch during Steamboat’s Winter Carnival (Feb 5-8) and enjoy the ranch’s winter wonderland. Then they’ll then transport you into Steamboat and set you up with a discounted hotel room for Saturday night so you can watch the street events on Saturday, the night show that evening and then more festivities on Sunday morning in charming Steamboat Springs. Winter Carnival admission button included. Valentine’s Day Romance Package-Start your Valentine’s Day off with breakfast in bed, followed by a day of as much outside activity as you desire. In the afternoon, they’ll treat you to a private sleigh ride complete with hot toddies to keep you toasty warm. Following that, the chefs will delight your taste buds with their Valentine’s Day aphrodisiac dinner. If evening finds you in the bubbling hot tub under the stars, that’s your call. “Discover some Montana magic with your family this holiday season,” invites the Lone Mountain Ranch website. The allure is obvious: some 85 kilometers of meticulously groomed Nordic trails and 30km of snowshoe trails; ski and snowshoe rentals; Yoga programs; access to hot tub; entertainment in the ranch saloon and evening programs. Also available: a sleigh ride dinner; on-the-snow gourmet trail lunch (Jan-March); wine and cheese social. Draft beer and house wine is available by the glass. And there’s a Children’s program offered during the holidays. Lodging is in one of 23 cozy log cabins or a room in Ridgetop Lodge. 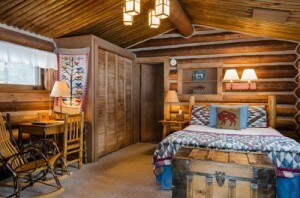 Western artifacts, log furnishings, vintage cowboy prints and patchwork quilts give each cabin a warmth and charm. Meals and snacks are included in most packages-just call to inquire. Details: Their Downhill Package includes package includes subsidized downhill passes to The Mountain (Big Sky and Moonlight are now one resort), three incredible meals daily, lodging in a log cabin or a room in Ridgetop Lodge, an old fashioned sleigh ride dinner, entertainment in our saloon and evening programs. Call for full details. Can’t stay for a full week? 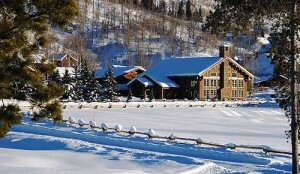 Lone Mountain Ranch offers shorter stays throughout the winter. Transfers to and from the Bozeman, Montana airport, are available. If you can book quickly, you can enjoy one of the best deals around: Stagecoach Trails is offering a 50 percent discount for stays in November. Set within easy access of gateways like Las Vegas, Phoenix, and the Grand Canyon, Stagecoach Trails Guest Ranch is Arizona’s newest guest ranch. As owners Dan and Carrie Rynders note, “We have worked hard to create a special, friendly atmosphere where you can get a glimpse into the old west while enjoying the beautiful northwest Arizona desert and all the peace and quiet one could hope for. We invite you to stay with us and be part of our ranch family, even if it is only for a little while.” Sounds like a perfect, stress-free Thanksgiving holiday to us! Details: Open year round except for June 1- July 15. Winter rates start at $120 per night. 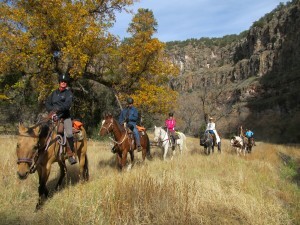 Another small ranch (maximum capacity is 16) in the southwest is Geronimo Trail Guest Ranch. This neat ranch is located on the Geronimo Trail, one of New Mexico’s Scenic Byways. Reachable by good roads, the ranch is four hours from either Albuquerque or El Paso airports, via a journey that will take you through high desert, rolling plains, and cool pine forests. The Esterly family bought the ranch six years ago this month, and we recently talked with Meris Esterly to tell us what she loves most about being in the industry. “Being part of a guest ranch been great,” she says over our morning cups of coffee. “One of the best parts is meeting people from all over America and the world and showing them our beautiful New Mexico. 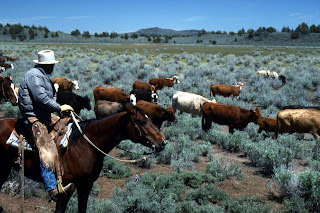 Seeing it through their eyes, I get a fresh perspective on the ranch life,” she notes. “Fall on the ranch is a really nice time to visit. It’s great riding weather!” The ranch is open March through Nov.27, this year, and you can snap up end of season deals. “We offer a ten percent discount on the week of Nov 21-27 but we only have one cabin left for that week,” Meris says, “but we have some cabins available for earlier in the month.” But you have to act fast. Wildlife abounds here in November. You might catch sight of bald eagles or waterfowl that overwinter here, and several bird species migrating south through ranchlands and nearby forests. They’re near the Gila National Forest , and wildlife includes mule and whitetail deer, black bear, Mexican grey wolf, porcupines, bobcats, ringtails, and coatis. Details: open March through November, so they’re nearing the end of their season this month. Rates: adults $274/night for 3 or 4 night stay, 5-7 nights: $255/night, Children 4-11: $222/night, Non-Riders: $209/night, 7 or more guests: Call, click or email for special group pricing discounts. Way down South America way, this intimate, 10-guest ranch offers all the best in adventure rides, good horses, and good organic home-cooked meals. Details: Open from July to April, this vacation is a plan-ahead experience, so start your research now. 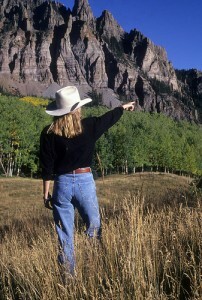 You want to be a wrangler, cook up stacks of hotcakes or gourmet meals, or take guests out on fly fishing expeditions? Then maybe you want a job at a guest ranch. But how to find it? Duderanchjobs.com, of course! You could think of it as a dating site where job seekers and prospective employers meet. The goal: the perfect marriage between ranch job holder and dude ranch owners. That’s the idea behind duderanchjobs.com, Gene Kilgore’s newest website, and it couldn’t be more timely. The site is attractive and very user friendly (if we do say so ourselves). It lists each ranch, next to a photograph and box listing the contact person and email address that job seekers should reach out to. Then, there’s a brief desecription of the ranch and below that, a list of each job and the dates when the worker is needed. Put your cursor over the job listed and you get a pull-down menu with a whole lot more information about each job. And if you’re a ranch owner looking for staffing help, the site delivers candidates right to you. Easy, right? Yep. 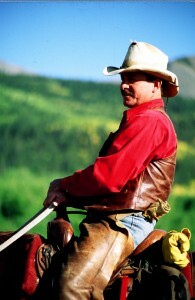 The guy who created Ranchweb.com and the author of the best selling Gene Kilgore’s Ranch Vacations guide has done it again. 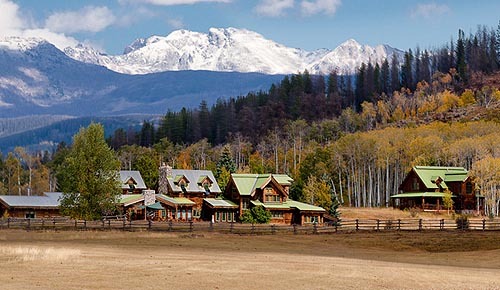 If you’re looking for workers to staff your dude & guest ranch resort, check out our site. And if you’ve ever had a hankering for a fulfilling, interesting job in one of the most beautiful spots on Earth, then look at the listings on duderanchjobs.com. It could be a match made in Heaven. Look to the aspen and maples in the high country— the first leaves are just starting to glow gold and red. And our thoughts turn to winding up the summer season in the ranches back East and in the high Rockies, then getting ready for the transition to fall and winter activities. But make no mistake: there’s still lots happening on the ranches and so many reasons to visit now—including some innovative programs and good deals. And in Arizona and California, more exciting new programs are spicing things up. Experience a taste of South Australia in the heart of California Wine County with this month’s The Outback at Alisal, (September 17-20, 2009) a weekend filled with riding, food and wine with an Aussie theme and Aussie Chef Curtis Stone (reservations limited to the first 10 bookings). Southern California’s Alisal Guest Ranch & Resort, and the South Australian Tourism Commission saddle up for a cowboy adventure highlighted by an intimate and interactive wine dinner by Chef Stone. Guests will also have the opportunity to horseback ride, sip Shiraz, dine at an Australian and American BBQ feast, and be eligible to win a trip for two to the Great Australian Outback Cattle Drive in August 2010 (valued at $8,000). COST: Three-night stay (Thursday – Sunday) is $1247.00 per person double occupancy; Two -night stay (Friday – Sunday) is $897.50 per person double occupancy. The Outback at Alisal All-Inclusive Weekend Package includes Studio accommodations for two or three nights and unlimited ranch activities including golf, horseback riding and more; a reception, lakeside lunch; wine dinner featuring Celebrity Chef Curtis Stone; Australian and American BBQ; breakfast horseback ride; screening of “Australia” the movie, under the stars. Also included: all meals, including wine, taxes, gratuities, etc. and a chance to win a trip for two to the Great Australian Outback Cattle Drive in South Australia. NOTE: The event is limited to the first 10 bookings (the dinner can be purchased separately for $135pp). Set in the beautiful Walker Basin, of northern California, the Rankin Ranch is an ideal place to chill out. So they’re offering a brand new program: Rest and Relaxation Week, October 5-9, 2009. This is the perfect time for those of you who need a quiet and peaceful getaway before the hectic holiday season begins. You can enjoy the Walker Basin’s beautiful autumn season when the leaves are turning and the evening temperatures are dropping. The ranch supplied all the food, lodging, and atmosphere…all you need to bring is mind, body and soul willing to relax and enjoy. Join the gang at Rankin for just one night or all four nights. You’ll also enjoy the lowest rates of their season…only $80 per person per night, double occupancy. 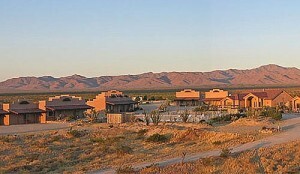 BOOK: Call and reserve today at 661/867-2511 or visit www.ranchweb.com/rankinranch/index.html. What makes them different from others? What is their hiring schedule? How many of last year’s staff are returning this year? Shop ranches – pretend you are taking the vacation of your dreams, and call them with your questions. When you apply, make it clear that you have studied the ranch as a potential employer – it shows them that you are serious. When a cover letter addresses the owner by name (easy to get from the ranch web site) it makes a much stronger positive impression than “To Whom It May Concern.” Collecting this information takes only a few minutes, but can pay big dividends. Thanks to Ellen & Dan Morin of Sundance Trail Ranch for all of the above ideas. Call the ranch to determine its hiring schedule; for example, most northern ranches begin accepting applications by Thanksgiving and make hiring decisions in December. And for more information, visit www.duderanchjobs.com. 1. Have skills that I need – these are all people skills. I can teach you to cook, clean, even ride a horse; I cannot teach you how to delight my guests and keep them safe. the welfare of my ranch, guests and staff, not that of an applicant I have never met. Tell me how good you will be for my ranch operation. name (Dear Mr. Morin…), and don’t ask questions already answered in the website. All good thoughts, Dan. thanks for sharing. For more on Sundance Trails Ranch, click here. Who wouldn’t want to combine a little hard work with a lot of potential fun in a stunning location? At most ranches, employees are welcome to use the ranch facilities on their days off, and sometimes you’re even welcome to ride any spare horses just for fun. Sounds like a great life in a wholesome, healthy environment. And so it is. But there’s a lot of competition for these dream jobs. So how do you score such a job? Well, hang onto your Stetson. Over the next few weeks, we’ll show you how to get an edge on the competition, with tips and suggestions from the ranchers themselves. And as always, don’t forget to check out our job listings at Duderanchjobs.com; click here.